We are excited to announce this merging of many awesome things. 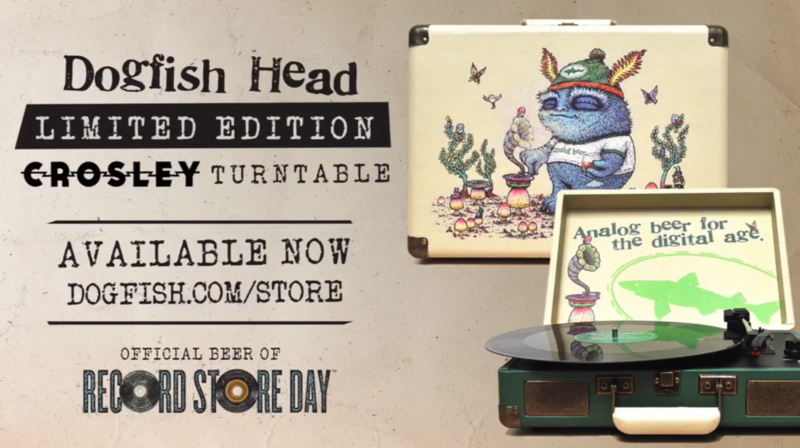 Dogfish Head and Record Store Day have teamed up this year and asked me to create some artwork which adorns a special edition turntable as well as posters and other promotions. DFH + VINAL + SPUSTA = one dynamite collaboration. congrats good sir! can we look forward to an artist’s edition of the poster? What a Wonderful New Creature! AND Now a Portable Spusta Spinner! How Awesome!! Great job Marq! 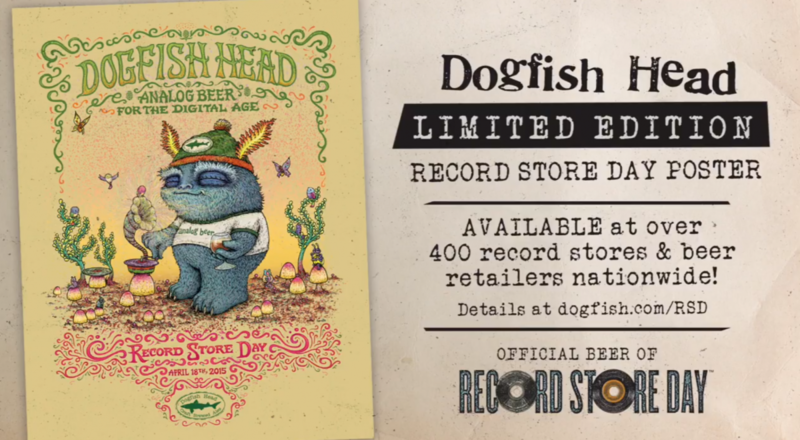 Cant wait til RSD to try and hunt one down. I just ordered the turntable! Groovy, man! I’m 53 years old and feel like a kid again. Can’t wait to spin a disc on it. Things like this make life worth living! Since I don’t Facebook I’ll reply here that one of my favorite records last year was Morning Phase by Beck. i got my poster a couple days ago. This thing is awesome! It’s on a nice paper too. Not your typical litho paper. Ty so much Marq and gnomes. Love you guys! 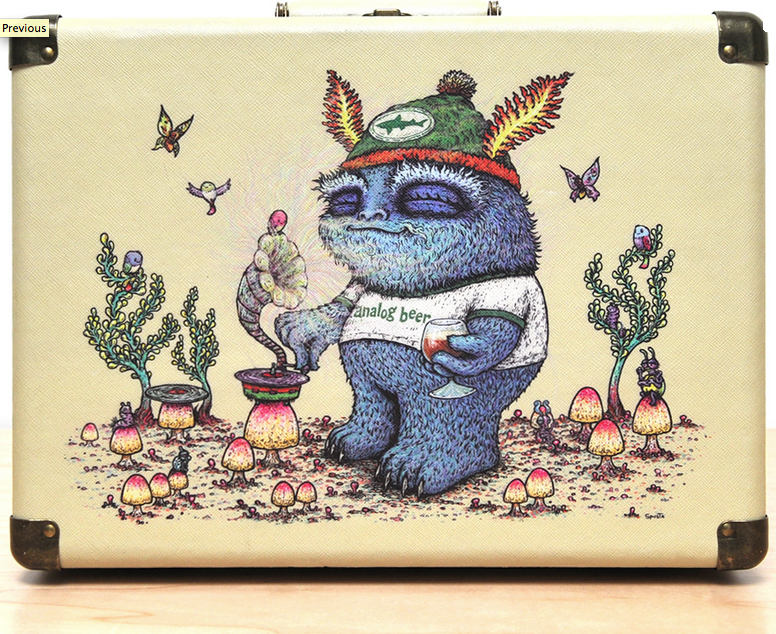 I just saw the WSP Vegas print and was FLOORED. I partied with those Lizards at the Hardrock once. Its all a blur now. 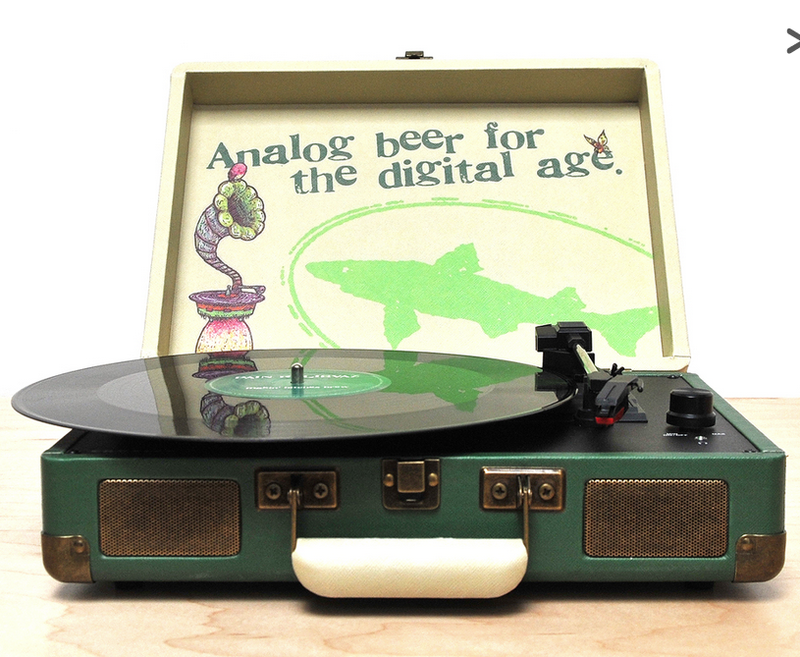 Happy RSD to all of us Dogfish Head Analog Spusta-ites!! 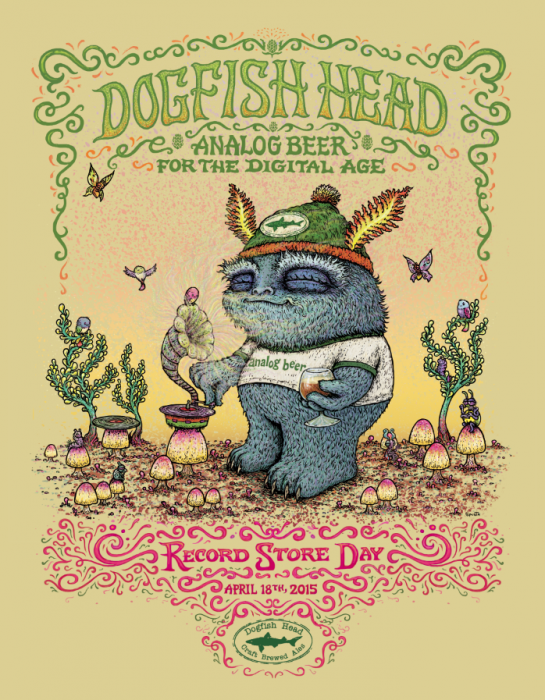 Will you be doing a New Analog poster for the Dogfish Event in Sept in Delaware? ?